I started dental assisting in 2006 and have been a part of Dr. Parker’s team since 2010. I have always had a passion for helping others. I am fortunate to say I love my job and I have found my place with Dr. Parker’s team. 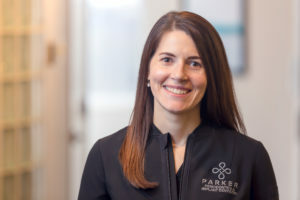 It is a pleasure working with people that genuinely care about our patients and working for a doctor as knowledgeable and skilled as Dr. Parker. I love getting to know our amazing patients and showing them how we can improve their lives and create healthy smiles.